NS-450 is not strong enough for me. Can I change it to NS-800? I've bought NS-450 gsm booster by Nikrans at your store, but it seems to be not powerful enough for my area. May be I'm wrong and everything is good with the booster's capacity, but sometimes I have bad quality of gsm signal in the parking lot of 500 m². I thought that such a capacity would be enough for that place, but I still need to solve the problem of weak gsm signal there. So can I change my NS-450 to a more powerful booster? And do I need a more powerful booster at all in the parking lot? Daniel. Hello, Daniel! Glad to meet you at Nikrans'! Don't worry about your situation, because help is here now! 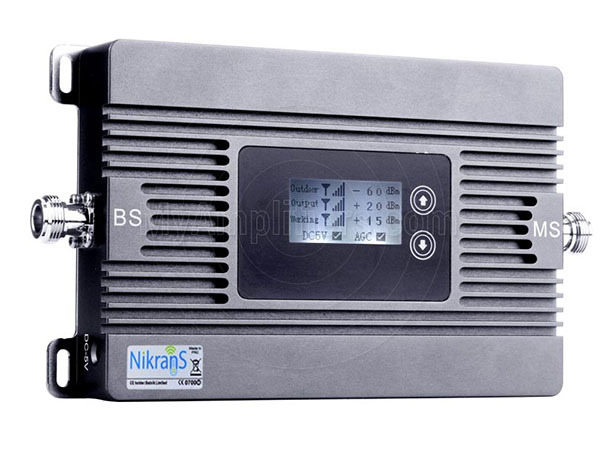 So according to the information you've given us already you really need a more powerful cellular booster by Nikrans NS-800. 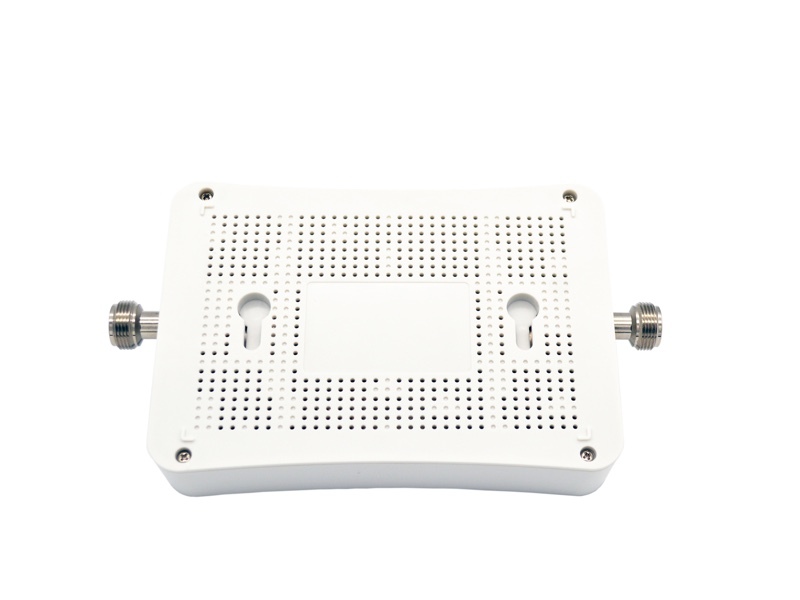 Cellular booster NS-800 is an effective repeater for amplifying gsm signal with the coverage of the area up to 800 m2. It's characterized with low noise work, effective signal boosting and high effectiveness for large areas like your parking lot. The working frequency of the NS-800 booster for cell phone is 900 mhz, so it is suitable for most mobile operators in most countries of the European Union, and represents the glorious 900 mhz boosters family. NS-800 is perfect for catching and amplifying even the weakest signals from the mobile base station. It also has passed RoHS approval. NS-800 comes in a kit, which includes two antennas (indoor and outdoor), a cable, a power supply, a user's manual and a repeater. There are no special skills for its installation needed and you will be glad to use this compact, beautiful and effective device by Nikrans. The cell phone repeater NS-450 you use now in the parking lot is also an effective appliance for amplifying gsm signal at the frequency of 900 mhz. But its coverage is up to 450 m², so it's not enough for the area you use it in. That's why you need another one booster. 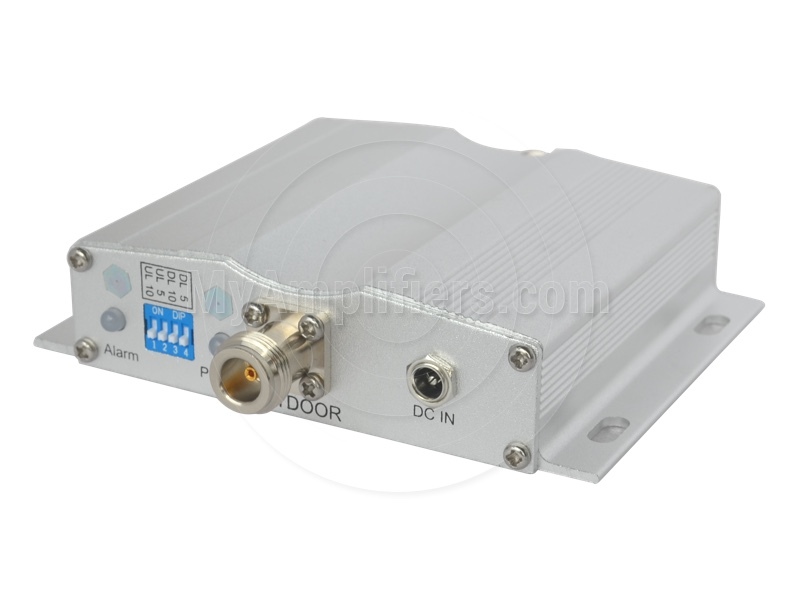 There is also one more powerful 900 mhz cellular booster LCD-1200 with the coverage of 1200 m2. So you can take this one if you need to cover a wider area within your parking lot, for example, in the case of the expansion of its territory. By the way, there is a service lifetime for all the mobile repeaters at our store – two year warranty and thirty days for guaranteed money back in extraordinary cases. So you should contact our customer service for organizing delivering and returning the booster. For more detailed information about taking back Nikrans' products read here. My 3G booster works bad in a busy district with many houses. Can they interfere? Hello, guys. Hope you have a good day. All my live I lived in a small city and through all this time I had no problem with 3g signal coverage. But as you know, nothing lasts forever. I bought a new flat. The district is wonderful but new so the infrastructure is not sophisticated enough. And as a result I faced the problem of low 3g signal. Mobile phones have become such essential gadgets in our lives that living without them now seems literally impossible. However, a poor cell phone signal reception is a dilemma experienced by almost every one of us at some point in time. Incomplete or no coverage may prove to be a hindrance at times when you desperately need to use your cell phone.